It’s 2019 and here in California’s own city of innovation, startups are “boldly going where no one has ever gone before” to find the perfect place to develop the tools (and services) needed to jumpstart America’s future. From the funky and fresh We Work San Diego to the calm and collective Union Cowork San Diego, many startups are choosing to work in cooperative coworking spaces. For one, they provide many goods and services at a fraction of what traditional office spaces cost. Two, they also provide a warm welcoming atmosphere for even the most introverted entrepreneur to feel comfortable working in. The best part about these coworking spaces is that each of them is unique in their own way. This way, regardless of your group’s specialty, there will always be a place for you and your team to make your business dreams come true. 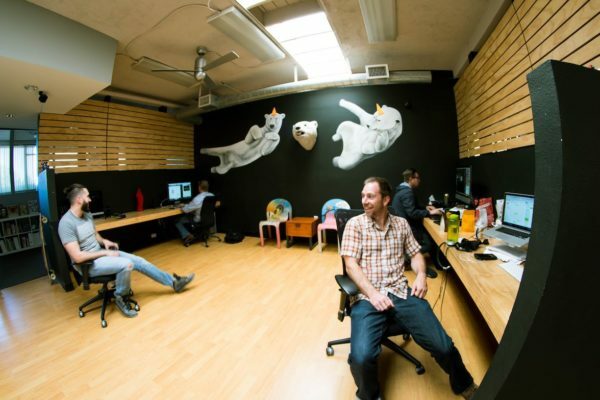 So without further ado, here are the top 17 San Diego coworking spaces! PS: If you are an innovator ready to protect and bring to market your visionary idea! Please book a free consultation with one of our San Diego patent attorneys! Now located in the ScaleMatrix Life Science and Technology Launch Center, the Ansir Innovation Center offers affordable coworking and private office spaces for technology and/or startup-focused Meetups in a collaborative environment, mentorship and incubation of qualified companies. In addition to San Diego startups in general, the center has also hosted a variety of meetup groups including iOS, Functional Programming, Python, Perl, Amazon Web Services, WordPress, UX/UI, and many more. Because of this, Ansir Innovation Center is considered an ideal place for tech startups to work in. Located in Pacific Beach, Venture Beach is a collaborative and affordable workspace that offers many benefits for entrepreneurs alike. In addition to a “hybrid incubator coworking space”, Venture Beach also offers classroom and office spaces. Clients do not need to deal with credit checks or long-term leases. They also do not need to deal with complicated contracts. In addition to offering Kefir soda on tap, BLOC offers many other benefits such as business class internet speeds. Altogether, these services help to foster a vast network of talented artists and entrepreneurs to work under one roof. As of now, the company is located in Solana Beach, Leucadia, and Carlsbad Village. Created in sunny San Diego in 1999 by two ambitious brothers: Jeromy & Matt Stallings, Ninthlink was built to provide businesses of all types affordable coworking space with 24/7 access. In addition to free parking and quick access to 3 major highways, Ninthlink offers a shared kitchen space, janitorial service, high-speed wifi, and many other benefits. Located in the heart of San Diego’s most prestigious business district, Spaces offers convenient access to I-5 and I-805. It even includes access to the University of California San Diego campus itself. Because utilities and cleaning and included in one simple price, student-led businesses are especially fond of working in Spaces. Novel Coworking’s Sixth Ave building is located at the heart of San Diego’s bustling Financial District. It offers amazing accessibility to many of the Gaslamp and Little Italy neighborhoods’ popular entertainment areas. With fully furnished desks and chairs, Novel Coworking’s private offices are ideal for clients to work together in. It even offers 500 Mbps direct fiber internet and WiFi at no additional cost. As of now, Novel Coworking offers a fully-stocked kitchen with an espresso bar and local beer on tap. It also has a rooftop deck and lounge area for people to relax and have group discussions in. With a group of kind onsite staff and supportive Community Managers, We Work is an ideal place to work in. For those who need to relax, We Work offers a sunlit terrace with a community bar and a wellness room. Did we mention that We work also provides fruit water and coffee? Not to mention that the place offers additional perks like paddle boards, a concierge, mail service and many more. Located in Sorrento Valley, Ootbox offers a wide range of in-house tools for businesses of all shapes and sizes. In addition to a 3D printing machine, Ootbox also has a die cutting machine, studio and box lighting, and sewing machines. Located in Little Italy, Desk Hub is an affordable workplace that offers unlimited conference room access and printing. Not to mention that Desk Hub is also within walking distance to restaurants and shops. Altogether, these attributes make it perfect for startups to officially launch their businesses in. A 2018 winner of the Koolest Kospace award, Downtown Works offers more than just premium coffee and tea and open office space. It also has a podcast room, phone/skype rooms, virtual offices, and many other facilities that make it stand out in the San Diego area. For those who enjoy sitting under the bright sunshine while watching the bay, Downtown Works offers a rooftop deck. 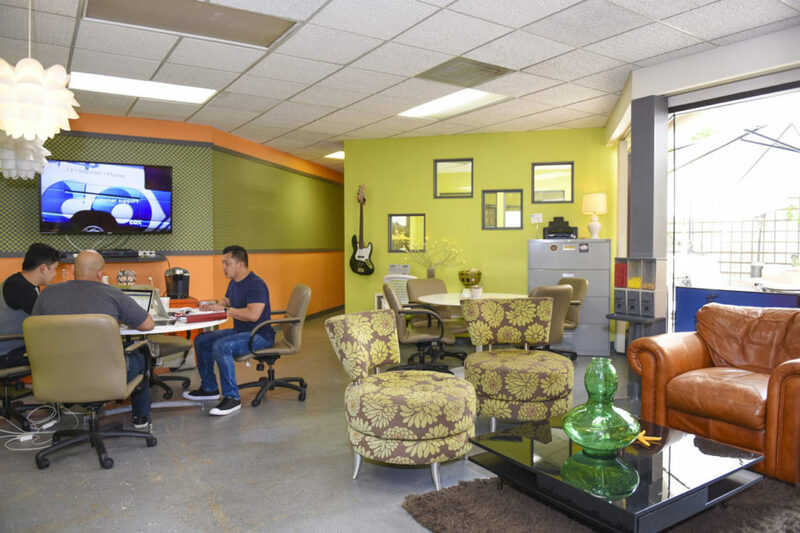 Located in Hillcrest and La Jolla, Co-mmunity offers a multitude of creative co-working spaces. Not only does this place offer a podcast studio and a meeting and conference room, it also offers a “Single Parent Mentorship Program” to help single parents thrive in business. Altogether, these services make Co-mmunity an ideal place for anyone looking to stand out from the startup crowd. Located in Encinitas, North Park, East Village, San Marcos (with additional locations in Los Angeles County) and more locations in San Diego county opening in the near future, Union Cowork is a dog friendly, 24/7 shared office space facility that offers a full beverage bar with local craft beer and kombucha on tap for all members. So if you or anyone you know would like to bring your dog to work, you can do so! Founded in San Diego, CA by Felena Hanson in 2011, Herb Hub prides itself as the first international coworking and shared office space for women. Because it provides a professional, productive, spa-like environment for entrepreneurial women of all different backgrounds to interact and work with one another, many of them find this to be an ideal place to work in. They even offer multiple pathways for women to learn how to run a business. Hera Hub has event received national media attention from publications such as Inc, the BBC, Forbes, Entrepreneur Magazine and the New York Times – http://herahub.com/press. ” Hera Hub is a coworking space and business accelerator where entrepreneurial women can create and collaborate in a professional, productive, spa-like environment. The platform provides members with connections to other business experts, access to educational workshops, and visibility within the community… thus giving them the support they need to be prosperous. Opened since Fall 2016, BioLabs San Diego is a premier coworking space geared for life science startups. With fully-equipped open laboratories and private lab suites, it is an ideal place for anyone with a business and science background to interact with others of similar interests in a safe, innovative environment. Considered one of the few coworking spaces specifically tailored to attorneys and lawyers, Enrich offers a variety of programs on business development, practice management, health, wellness, leadership, and life. Altogether, these services help fellow attorneys and lawyers to become the future business leaders (and not to mention, patent lawyers) of America. 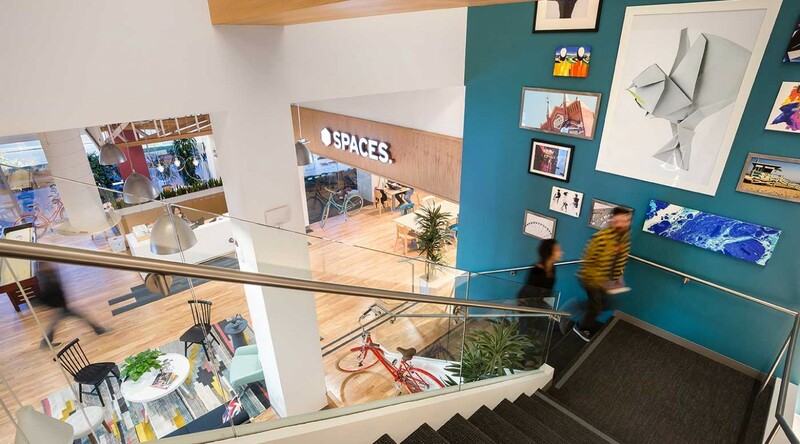 Located in downtown San Diego, NEST is a funky, fresh, friendly co-working space that offers a multitude of amazing amenities. As such, NEST provides a warm, welcoming atmosphere for tech start-ups, entrepreneurial efforts, and non-profit organizations to work in. Did we mention that they also have a 3D printer and private British style telephone booths(yup, THOSE red ones)?